It’s been written by some that the key to EMR success lies not with the vendor, but the provider. Switch out the vendor, they say, and the result will likely be the same. Doug Abel, CIO, Anne Arundel Health System, is not of that opinion. According to Abel — who has had significant experience with three of the big seven inpatient EMR vendors, including working at Cerner for almost eight years — all vendors are not created equal. 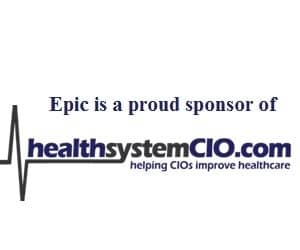 To learn more about how the big seven measure up, along with Anne Arundel’s march toward Meaningful Use, healthsystemCIO.com editor Anthony Guerra recent caught up with the Maryland-based CIO. Working outside the organization — CHIME, state-level advocacy, etc.